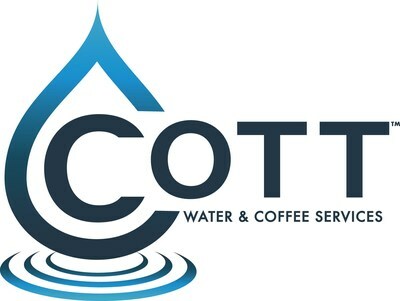 TORONTO and TAMPA, FL, Feb. 8, 2019 /CNW/ – Cott Corporation (NYSE:COT; TSX:BCB) today announced the sale of its soft drink concentrate production business and its RCI International division ("Cott Beverages LLC") to Refresco for USD $50 million, who in turn sold the RCI worldwide branded activities to RC Global Beverages Inc. This press release contains forward-looking statements within the meaning of Section 27A of the Securities Act of 1933 and Section 21E of the Securities Exchange Act of 1934 conveying management’s expectations as to the future based on plans, estimates and projections at the time Cott makes the statements. Forward-looking statements involve inherent risks and uncertainties and Cott cautions you that a number of important factors could cause actual results to differ materially from those contained in any such forward-looking statement. The forward-looking statements contained in this press release include, but are not limited to, statements related to expected 2018 sales of Cott Beverages LLC. The forward-looking statements are based on assumptions regarding the time necessary to satisfy the conditions to the closing of the transaction and management’s current plans and estimates. Management believes these assumptions to be reasonable but there is no assurance that they will prove to be accurate.